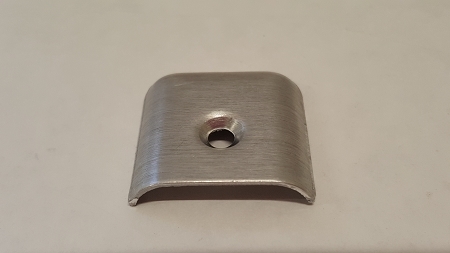 Fasten these aluminum end caps over the vinyl insert at the end of the slot molding to finish the project and give it a professional appearance. Trail Pals tip: If you pull the vinyl insert thru with a pliers, the insert can stretch. Cut it 6" longer than the ends, and let it retract for a few days before trimming it & fastening the end caps. 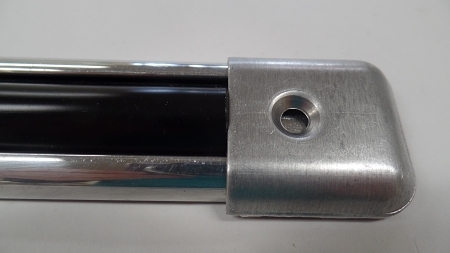 If you gently "pinch" the insert in all the way around the trailer, you can avoid the shrinkage problem. 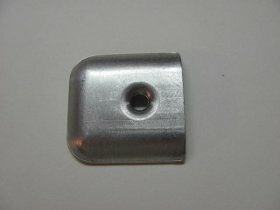 * These end caps can be painted to match your vinyl insert trim.